When we think of drones, we think of remote controlled or semi-autonomous death machines, eyes in the sky, and a future where a despotic global regime can torment us from unreachable heights. But what if alongside their drones, flew ours? A balance of power allows the cutting edge of drone technology to slice the other way – and in our favor. As the NSA builds an omnipresent surveillance network across the planet’s surface – tracking each and every one of us, ranking us autonomously into various threat categories with the “most dangerous” brought to the attention of human operators – fleets of drones can endlessly circle overhead with the ability to strike us down at any moment. Such a society is technically already here. While drones are not killing Americans on American soil, they are killing Americans on foreign soil under just such a premise. While the justification today is “terrorism” and the “villains” easily hated by most Americans and their deaths just as easily “shrugged off,” this can and already is being incrementally changed. The centralized nature of telecom and the current monopoly the state holds over drone technology ensures that this nightmare only gets darker. 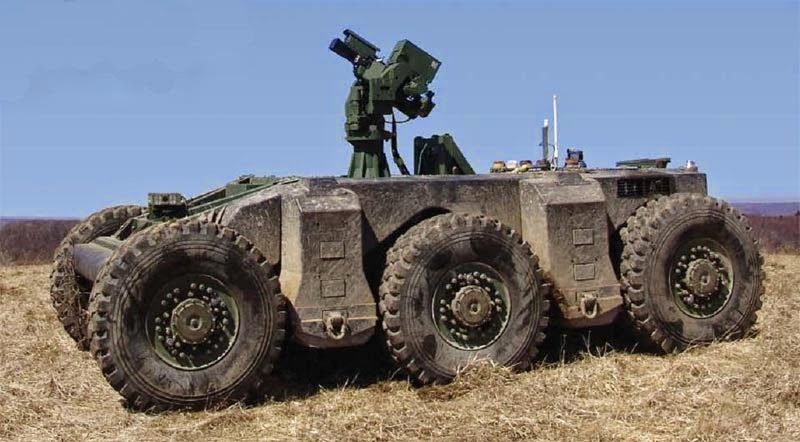 The prospect of unmanned drones circling beyond eyesight and earshot and capable of striking at any moment, any target, anywhere on Earth should terrify those who understand that this ability, if monopolized, will be – and already is – abused. 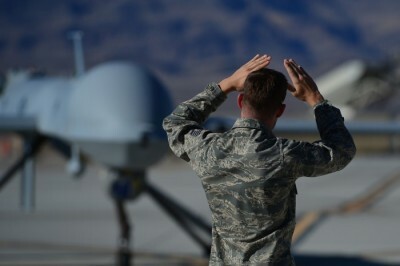 Automated extrajudcial executions from above make for a truly terrifying technological tyranny – and because of the legal and even intuitively ambiguous shadows drones currently operate in, those dying under drones today are ignored, forgotten, or dismissed. It is likely that the incremental expansion of drone executions will strive to maintain this perception in as many “untargeted” minds as possible for as long as possible. Activists seeking to raise awareness of this inevitable threat fight a fruitless battle as much against public ignorance and apathy as against the abuse of drone technology itself. Images: Top left, behind enemy lines. Drones gave a bird’s eye view of police defenses and strategies in the face of growing street protests. Top right, while the regime and its Western sponsors attempted to play down the size of protests, fish-eye lenses attached to drones unequivocally showed crowds hundreds of thousands strong – and exposed staged pro-regime rallies as minuscule in comparison. Bottom, a reporter gives an update to a hovering drone (on the right) before it ascended to capture the size of the immense rally site. The civilian use of drones goes beyond their use by police and non-military government agencies. News teams – both corporate and alternative – are increasingly turning to drone technology to cover events as they unfold. 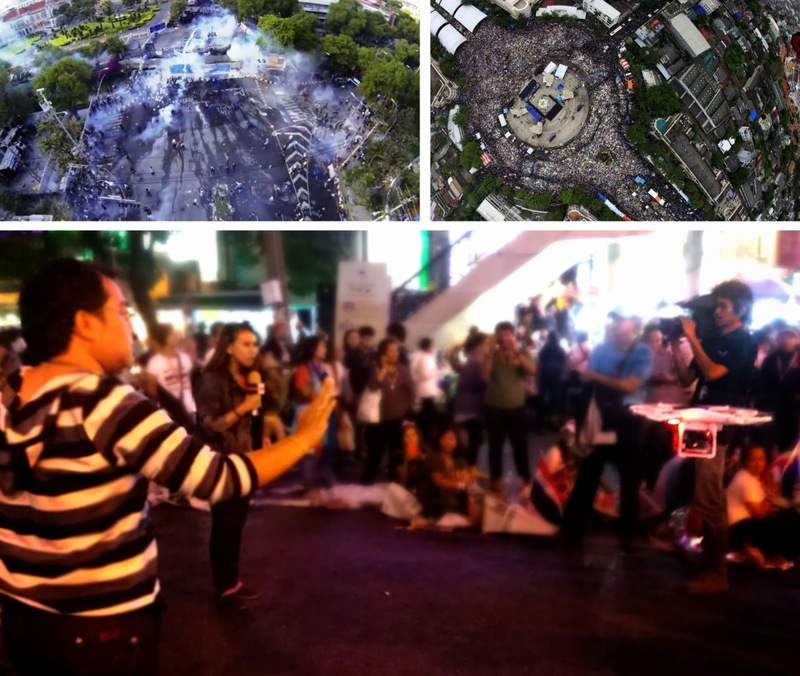 In Bangkok, Thailand, during protests seeking to oust Wall Street proxy Thaksin Shinawatra, alternative news agencies used drones not only to cover events from unique and compelling perspectives, but to gather intelligence on the strength and disposition of police loyal to the regime. With this information available to all on YouTube via drone footage released of clashes filmed from above, better strategies could be developed against the regime, saving time, energy, and even lives. Drones can provide farmers with three types of detailed views. First, seeing a crop from the air can reveal patterns that expose everything from irrigation problems to soil variation and even pest and fungal infestations that aren’t apparent at eye level. Second, airborne cameras can take multispectral images, capturing data from the infrared as well as the visual spectrum, which can be combined to create a view of the crop that highlights differences between healthy and distressed plants in a way that can’t be seen with the naked eye. Finally, a drone can survey a crop every week, every day, or even every hour. Combined to create a time-series animation, that imagery can show changes in the crop, revealing trouble spots or opportunities for better crop management. This “out-of-box” capability may already be helping farmers today, but the “hackability” of drone technology means that these automated camera platforms may soon be helping in other, bigger ways. sking for drones to be regulated or otherwise “outlawed” will only result in the technology remaining solely in the hands of those abusing it most. Instead, activists fearing a dystopian future where drones prowl the skies and strike us down without warning and with absolute impunity, should commit themselves to democratizing drone technology – in other words – taking ownership over it and ensuring no monopoly of any kind can be had over it. People have already been developing their own drones as part of personal projects, at universities as school projects, or part of technological collectives known as makerspaces or hackerspaces. The concept of DIY drones is gaining momentum as the technology used to construct and hack automated or semi-autonomous aerial platforms becomes cheaper and easier to use. There in fact exists an entire community online, DIYdrones.com, that provides a good cross section of the increasingly impressive results hobbyists, makers, and hackers are achieving. The website also serves as an invaluable resource for those seeking to build their own projects. 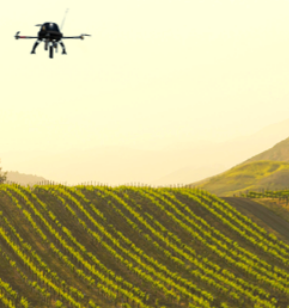 While many commercial kits offered to farmers today serve as advanced imaging systems, hackers could potentially augment these drones with the ability to do everything from managing pests, pulling weeds, and checking hydration, to providing security alerts and even automated harvesting that puts not a single footprint or tire track upon fields. Other applications could include painting, maintenance, meteorology, and even construction in both rural and urban settings. Image: Fictional concepts today may become tangible realities tomorrow. 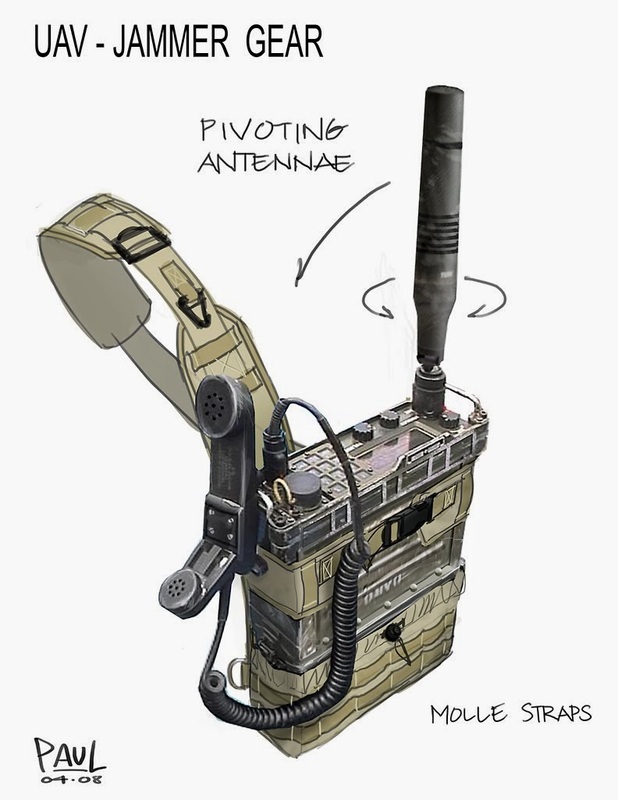 A UAV jammer. Before the need even arises to create fleets of locally produced and armed drones, a fully educated population that has successfully democratized drone technology will already pose a counterweight to the unmitigated use of drones by monopolies. Awareness alone will limit the impunity these monopolies currently enjoy today. However, with an increasing number of people capable of producing their own drones, countermeasures to armed drones and their abuse will increase as well – not only within any given country, but between countries as well. The monopoly the United States enjoys today will be hindered first by other nations developing their own drone programs, and then by the expansion of civilian uses and an increasingly educated and technologically competent population. For those that fear and detest the use of drones by governments and corporations as an extension of their monopolies, greed, and ambitions to control others, the battle should not be to “un-invent” drone technology, but to disseminate, distribute, and democratize it to provide the ultimate check and balance. Sentinels created by and for local communities could be used for security and weather observations today, but the ability for them to be transformed into self-defense systems tomorrow would be an ever-looming threat hegemonic powers would have to enter into their calculus.